The Shinto is a great new design optimised for F3F, F3B, and fast sport flying, either from slope or flat field sites. Aeronautical design is by Max Steidle, a highly regarded aero engineer, with input from Stefan Eder and structural design and manufacture by Vladimir's Models. The aircraft is available in two versions, F3F (slope racing competition) or F3B (flat field multi-task event). Both versions are strong and reasonably light, with the F3B version the lighter. All our Shintos are ready fitted with servo frames and IDS servo linkages to speed assembly, and come with excellent quality wing and V tail bags. These are extras from other suppliers. 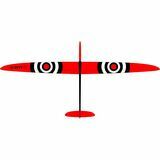 Quote by Simon Thornton, F3F Champion of Champions: It is a superb model, very light but very stiff, so it will happily fly in 25 m/s slope conditions without getting squirrelly. Ideal battery pack is a 1600 mAh LiFe. I have found the supplied noseweight is a little too heavy, so it is worth advising buyers to check before gluing in! This is the model that helped me win the UK F3F League 2015 and 2015 F3F Champion of Champions contest. The wing is a two piece hollow molded structure with a very substantial spar and joiner system. The wing skin is a Carboline spread carbon - Rohacell - Carboline sandwich, with a strong carbon spar and carbon sandwich shear web. A full wiring harness is supplied with the model, so no soldering is required to install the RC. All our Shintos are supplied with IDS (stands for Intregrated Drive System, also called LDS for Linear Drive System on Vladimir's site) frames installed in the wings with ready to connect linkages for the flap and aileron servos. These beautifully engineered Integrated Drive Systems allow the servo to be dropped into place in the pre-fitted frame. A pre-fitted pushrod of optimal length and geometry is already connected to each of the control surfaces, massively simplifying the installation. This system utilises an external bearing built into each servo's mounting frame, increasing control rigidity, reducing servo forces, and improving the structural integration of the servo in the wing. It also allows the servo to be removed easily for servicing or replacement if required. All models are fitted with IDS frames and pushrods suitable for either Futaba/Robbe S3173 or Graupner DS 3288, JR DS 171, JR DS 179 HV, JR DS 189 HV, JR DS 378, or JR DS 398 servos. The servos required are listed with the colour scheme below the price. 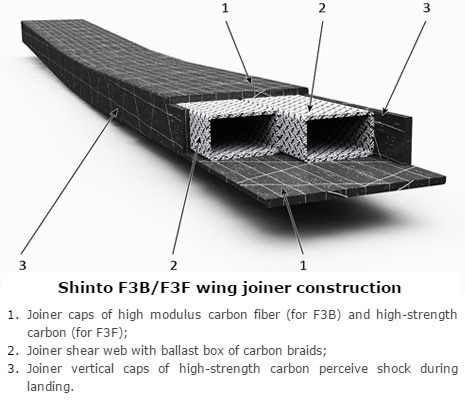 The Shinto wing joiner is made of carbon prepreg in the steel mold with high pressure and cured at a temperature of 130 deg C. The wing joiner includes ballast compartments for mounting 680 g of steel ballast slugs. 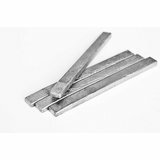 These joiner-ballast slugs are included in the kit. For improved performance in windy conditions we highly recommend the optional extra Shinto Wing Ballast Set is also purchased. The Shinto fuselage is laminated in an aluminium mold using a pressure balloon. The forward part is made of Kevlar and high modulus glass, and is 2.4Ghz friendly. The rear part is laminated using high modulus carbon fiber. The adjustable tow hook and the control rods are installed already. 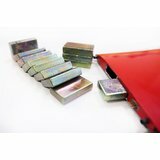 A beautiful V-tail horn carbon hatch is supplied. The translucent Shinto canopy is made of plastic with the Shinto and VM logo molded in, to look good and give reinforcement. The Shinto is supplied with a molded nose ballast, with a weight of approx. 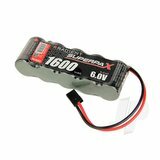 100 g. Note this may need reducing, depending upon the battery used. 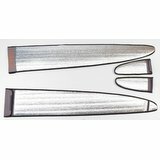 The Shinto V-tail is a spread carbon sandwich construction. The stabilizers fit perfectly to the fuselage and the elevator horns are installed and hidden by the tailcone fairing. The stabilizers and wings must be secured to the fuselage with tape after assembly. *The F3B version is approx 50g - 80g lighter. 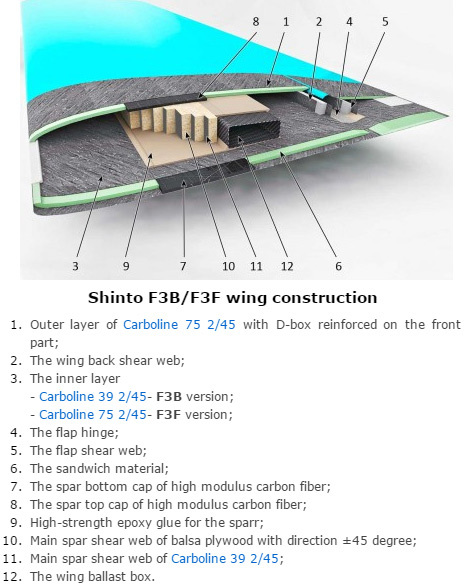 See the Shinto-F3b-recommendations-from-Stefan-Eder.pdf file (link below). 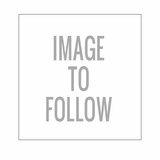 We're pleased you would like to review Shinto 3m. Flying on the slope is very smooth with cg at 90mm. My Shinto is naturally fast and maintains speed in F3F type turns very well. Add a little reflex and off it goes! Very impressive model for F3F competition. The wiring harness, ballast (5lbs and all slugs weigh the same),and installed LDS servo frames for the Futaba /Robbe HV servo S3173s are included. The servos snapped right in, very tight fit. The craftsmanship is 1st class all the way around from the design to lay up. I got the fuse LDS set for MKS HV DS 6100s which I would recommend as it nicely distributes the load on the servos. I received my F3B Shinto about two weeks ago. I was immediately impressed with the fit and finish of the plane. The wings and stabs click into place like a machined part and the seams are super tight. The wings are very light and strong and the LDS linkage is super tight. It would be nice if the servo tray was already installed but it's not a big deal. I'm waiting for our winter weather to give me a chance to try out this piece of art. Very classy model. well thought out making fit out very straightforward, especially with the factory fit LDS frames. Super tight and accurate linkages. Carboline gives a finish that surpasses all other models I have witnessed. Strong in flight and light in construction. Ballast is sufficient o reach max permissable loadings without having to resort to expensive Tungsten. Fast and stable in flight and also has very easy handling for light thermal work.